We're all geared up to head into the studio this weekend to work on a new British IBM track entitled Jet Set Willy. 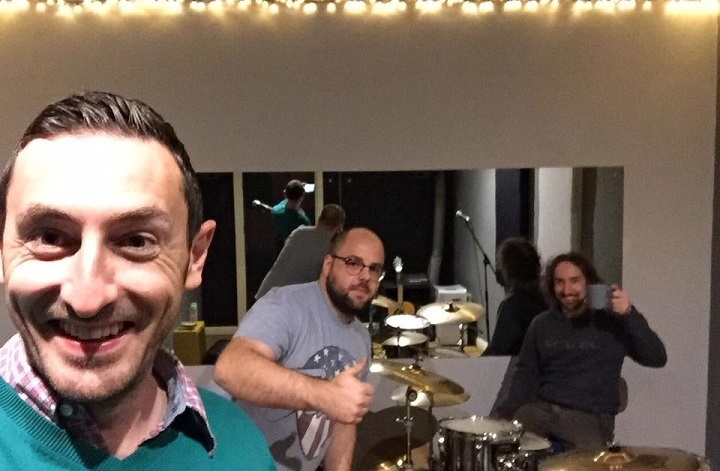 Have just spent the evening in a rehearsal room in Cambridge playing through it over and over again to ensure that can actually play it as a band and now we can! Nov 03 Win a signed copy of Zombies Ate Our Roadies! That's right folks! 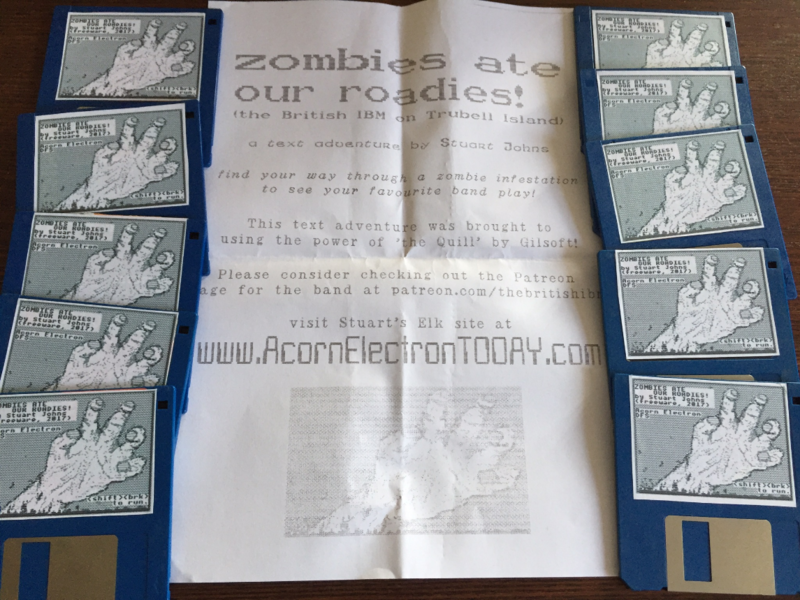 You can win your very own copy of Stuart John's Zombies Ate Our Roadies for the Acorn Electron signed by himself and the British IBM. First two people to do it win! It's that simple. If you simply can't wait to own this gem of a game then head over to Stuart's site Acorn Electron Today where you can buy yourself a copy for a mere £1.99. We have a brand new lyric video for the track Nothing from our album Psychopaths Dream in Black and White. Available on Spotify, iTunes, bandcamp and this very website! Back at the old Corner House in Cambridge once again, this was our first outing with our new drummer Scott Wilson. Was good to play as a full band again with electric guitars and amps etc.. hopefully this will become a more regular occurrence in the new year. Sep 12 Zombies Ate Our Roadies! Excited to announce that we have another awesome fan game from Stuart Johns over at Acorn Electron Today. 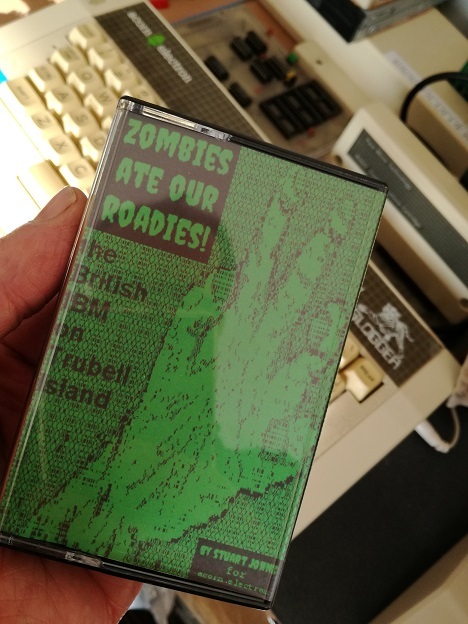 Zombies Ate Our Roadies is text adventure featuring "your favourite band" (that's us!) and a zombie infestation. In true retro style it's for the Acorn Electron game but will also work on a BBC B or Master that's running DFS. Plus! We've just been sent a whole box of them on 3.5" floppy and we'll be giving them away at upcoming gigs.